I have to be careful with novelty clothing – my fashion sense teeters perilously close to the brink of weird art teacher as it is and one wrong move with a misplaced brooch or excessive pattern could see me free-falling at speed in to the unfortunate ‘I’m mad me’/patterned tights brigade. 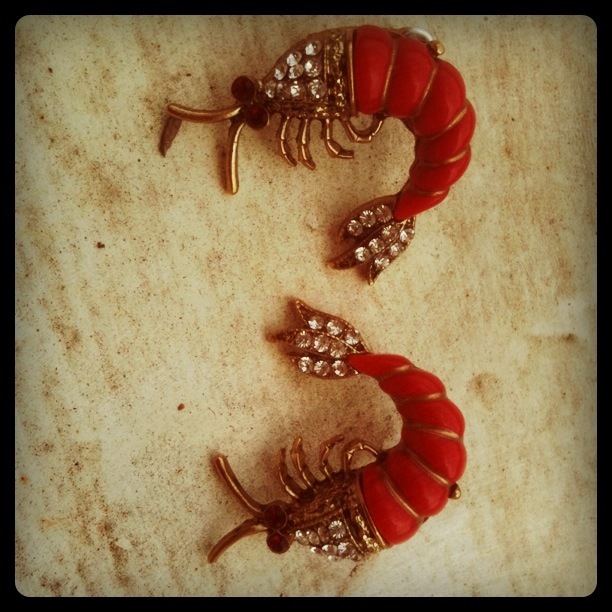 That said, I bought these lobster/shrimp/scorpion earrings last week from Topshop. They have a really authentically vintage feel to them, I think, through the pavé setting in the tail and neck and dull-gold detailing. 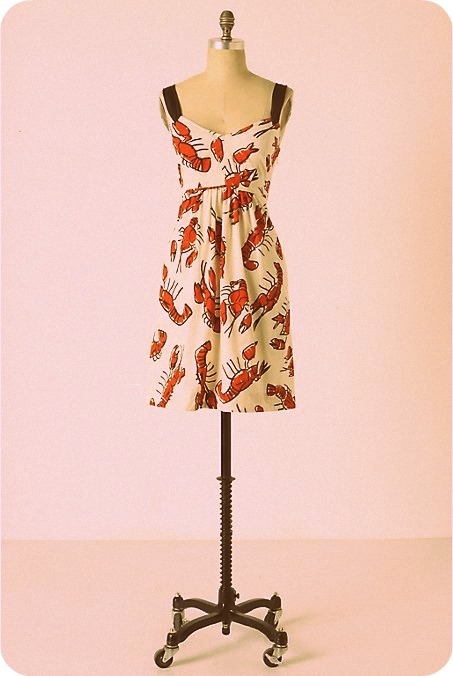 It’s love, and they almost make up for the other lobster item which I dream of… this Anthropologie dress from years back which I still get giddy about when I see people wearing in the street. That’s another eBay saved search right there, FYI. I love this dress! I’m also with you with the ‘weird art teacher’ look love it!